You're invited to an exclusive dinner where we’ll be welcoming special guest Valter Fissore, owner and winemaker of Elvio Cogno, which is quickly becoming one of the Piedmont’s most sought-after estates. 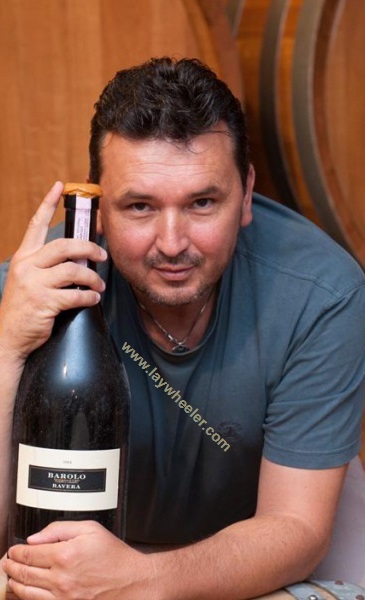 Valter will introduce an extensive range of his wines, including the impressive pre-phylloxera Barbera, made from up to 120 year-old vines, a wine that recasts this humble variety spectacularly. We’ll then compare Barolos and Barbarescos from the same vintage, an opportunity to taste what makes these two neighbouring areas so different. And finally, Valter plans to treat us to two older vintages, the 2006 and 2009, from the estate’s standout Ravera cru. • 2012 Barbera d'Alba DOC "Bricco dei Merli"
• 2012 Barbera d'Alba DOC "Pre-Phylloxera"
• 2012 Barbaresco DOCG "Bordini"
• 2012 Barolo DOCG "Cascina Nuova"
• 2009 Barolo DOCG "Ravera"
• 2006 Barolo DOCG "Ravera"